No one wants to think about the fact that they may become unable to care for themselves someday, but the truth is that more than 50%1 of people 65 or older are estimated to need long-term or nursing care at some point. Costs for long-term care vary by state. The average cost2 of a semi-private room in a nursing care facility was more than $7,000 per month in 2017; in Florida it’s closer to $8,000. Nursing home care for just two years could be upwards of $190,000. Multiply that out by realistic longevity projections.3 If you have already reached age 65, chances are you will live into your mid-80s. But one in four people lives into their 90s, and one in ten lives past 95. You definitely need to have a plan in place to pay for long-term care if you need it. Most people think that once they turn 65, they’ll be covered by Medicare. While it’s true that Medicare might pay for some of the costs for a short nursing facility stay of three months or so, for the long-term Medicaid is needed—requiring a drastic spend-down of assets, possibly bankrupting a spouse and leaving nothing for heirs. 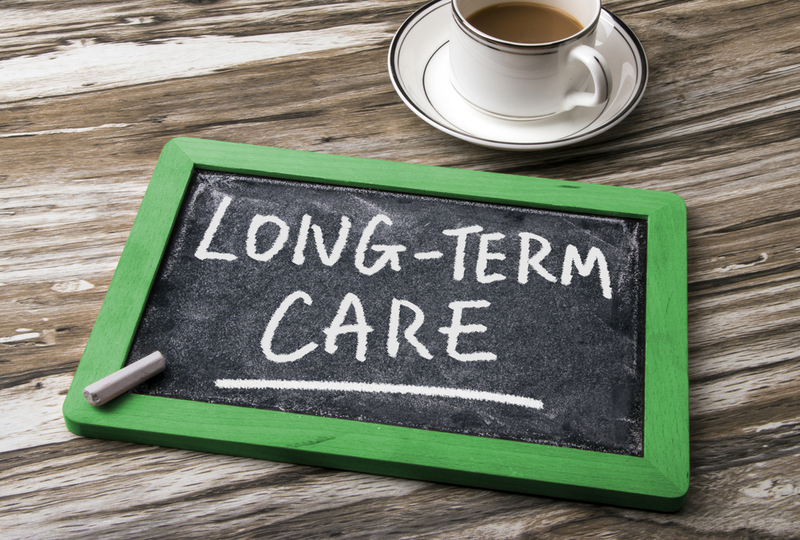 When it comes to planning for long-term care, traditional long-term care insurance policies have become scarce. Sudden premium increases for standard long-term care insurance policies can make them unaffordable, and traditional policies often lapse. Luckily there are new options. New products like fixed indexed annuities or indexed universal life policies with optional long-term care coverage may work for some people. These sorts of policies are sometimes attractive because they make sense for both the 50% of people who might need nursing care as well as for the 50% of people who never will—potentially passing any remaining policy values on to beneficiaries tax and probate free. In other words, we can help you devise a plan to pay for costs if you do need long-term care, but not overspend on policies that may be subject to drastic premium increases, sudden cancellations or never be needed at all. There are many strategies and new options to consider. Call us to discuss this and any other concerns you might have about your retirement. At Alpha Beta Gamma Wealth Management, we are committed to helping you with the most suitable retirement planning strategies we can discover in our ongoing research. Please call us at (866) 837-0999. 1 “75 Must-Know Statistics About Long-Term Care,” Morningstar.com. http://news.morningstar.com/articlenet/article.aspx?id=823957 (accessed February 16, 2018). 2 “Compare Long Term Care Costs Across the United States,” Genworth.com. https://www.genworth.com/about-us/industry-expertise/cost-of-care.html (accessed February 16, 2018). 3 Social Security: Calculators: Life Expectancy. SSA.gov. https://www.ssa.gov/planners/lifeexpectancy.html (accessed February 16, 2018).